This question came to my mind when I bought a 200$ LCD monitor on Amazon and they asked me if I wanted an extension of 2 years for my warranty for 20 pounds 10% of the actual product). 1. Things which if they happen to break will not affect you: if that monitor breaks, burns or simply disappears, it doesn’t matter to me, it can be easily replaced or repaired. You shouldn’t insure them! These insurances are created by companies to make money. Think of the costs these companies have: employees, analysts, locations. From all the money they get from insurances, they subtract the costs, keep their profit and give money back to people in case something happens. In the long run, the insurances make money for the insurance company. Suppose you buy 1000 goods in your life, a maximum of 10 of them will make you regret you didn’t buy an insurance. However, not insuring any of them will bring you an overall profit. 2. Things which if they happen to break will majorly affect your life. For example, suppose that your house burns, it will be tough to re-build it. It has a bigger impact on your life. This category of things should be insured because even if in the long turn the expected value is that it will not happen, if it destroys, its harmful effects will drastically affect you. Not having a house insurance is a risk not worth taking. You’d better buy it and stay rested! I think this delimitation between the categories makes the decision of opting or not for an insurance easier. The only question you should answer in order to take a decision is ‘If this thing breaks, will I be seriously affected?’. Andrei Margeloiu is a passionate programmer interested in entrepreneurship, startups and nature. You can connect with him on LinkedIn or Facebook. 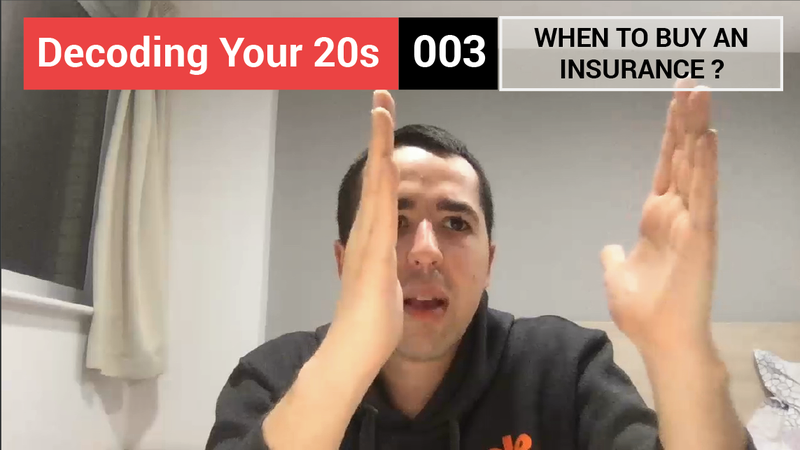 Now, it’s your time to answer a question: What things did you buy an insurance for? About the author: Andrei Margeloiu is a passionate programmer interested in emerging technologies, entrepreneurship and iconic buildings. You can connect with him on LinkedIn or Facebook.